Remember the old newspaper cartoon Ripley's Believe It or Not? If so, you'll recall Ripley's panel dealt in items so unusual that readers might question the claims. Well, my friend and longtime client, Bill Hegberg, has been working on his own Believe It or Not. Perhaps spurred on by some comments I made to him a long time ago about how we caught bonefish with bare red-shanked hooks while in the Seychelles in the early 90’s, Bill has been quietly experimenting with this concept. 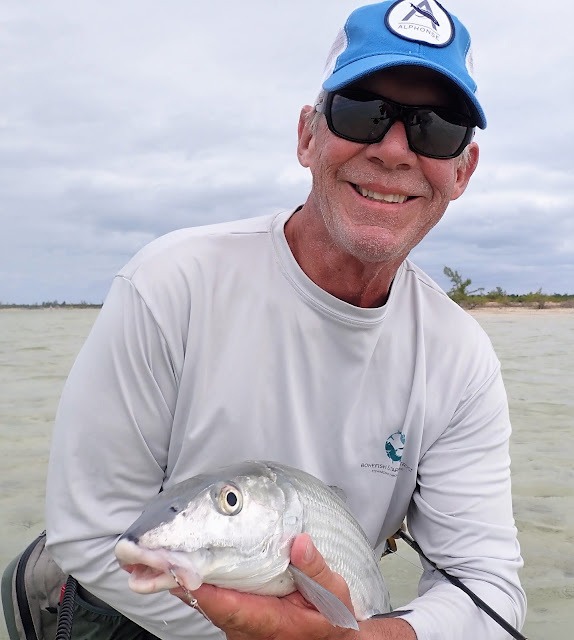 He has made some references to me about it over the years and then a couple weeks ago, I got a text from him while he and his friends were visiting the Little Abaco Bonefish Lodge on Great Abaco Island. 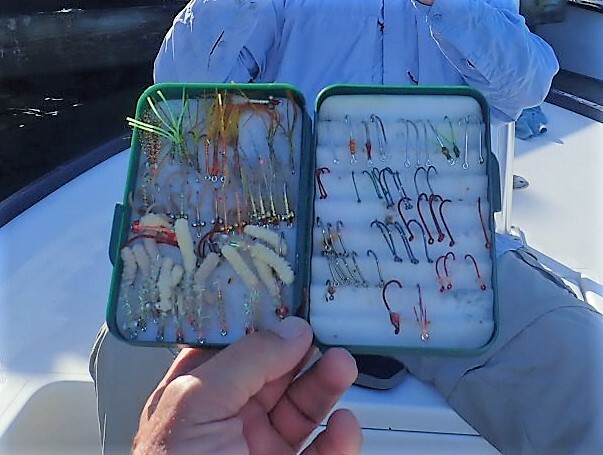 Of course, I asked for more info and Bill (who I know to be an excellent angler and caster) told me that he was fishing all six days on this trip with bare hooks! 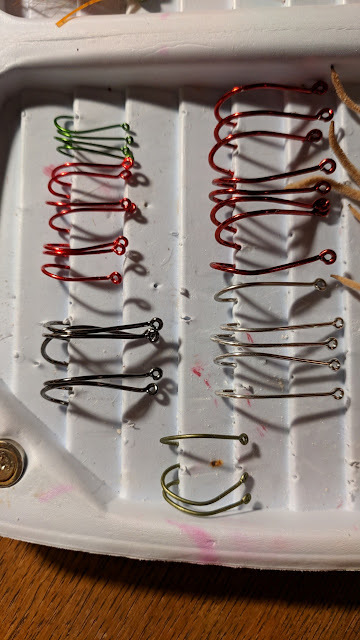 He was using Gamakatsu SL11-3H hooks and Gamakatsu Octopus hooks in red and green, as well as some steelhead hooks, but his best luck was coming with the lighter Gamakatsu SL45 hooks in silver. Yes, just a plain old silver hook tied on his tippet with a loop knot. The loop knot was crucial, as an improved clinch slid around to the crevice where the wire formed the eye and pulled the hook sideways, spinning and spooking the fish. With a loop, the hook rode bend down in the water column during the strip. Bill added that you must land the hook close to the bone's head. 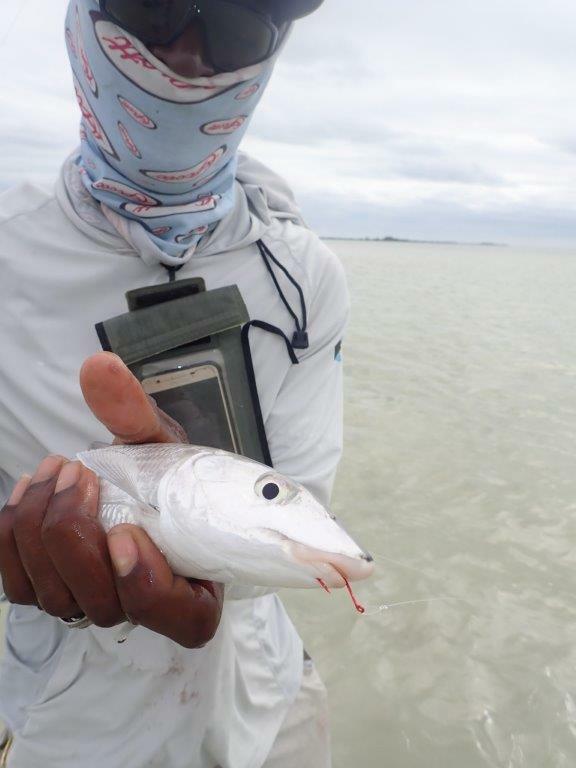 The fish just don’t see it if its three feet away (unlike a regular bonefish fly.) 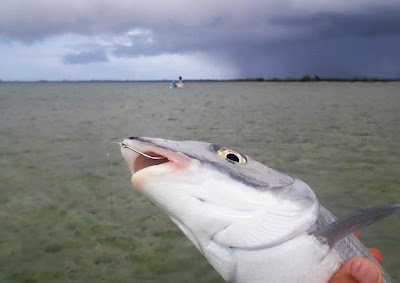 A cast where the hook hits the water before the flyline (always a good idea!) 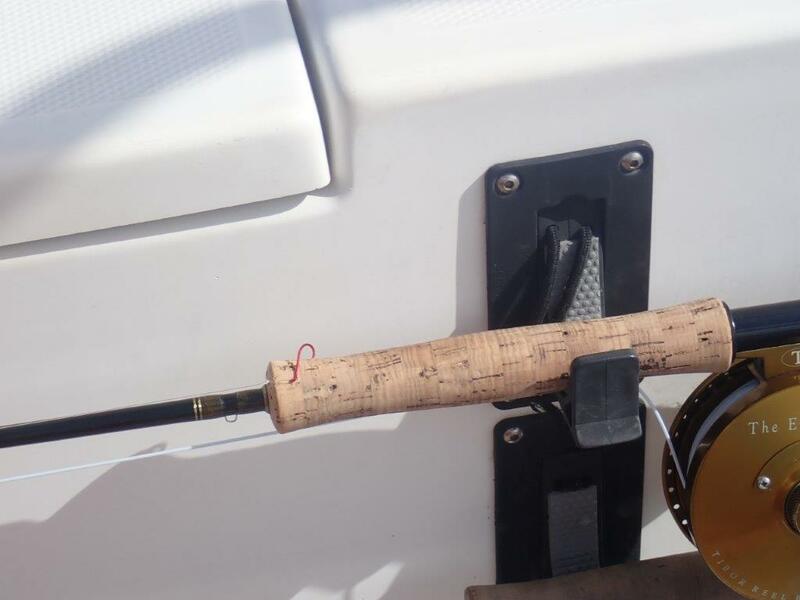 often resulted in the fish charging and taking the hook almost before the line got to the water. Bill suggested using a long leader of 12-15 feet. Once the fly quietly lands, it may be necessary to make tiny strips to get the fish’s attention. The biggest fish of the trip ( 8lbs-or so) came after following the hook and tipping on it three times. Again, a big strip means the fish loses sight of the hook, so strip short and slow with a tight line. Bill Helberg with a nice bone on a silver hook. Head guide Sidney Thomas is a convert! It’s not the most productive way to fish. Bill caught 5-6 fish a day with lots of shots, but it wasn’t from refusals (except the shiny green hook; Bill said they hated that), just the difficulty of presenting the hook well. He even had the owner and head guide Sidney Thomas trying it successfully! You must make a long cast with a long leader. You must be an excellent caster.